Man, I can't believe this will be the 7th Anniversary of TYRANT. 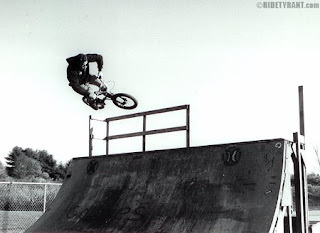 There were up years, there have been down years, but slowly and steadily I have kept the passion for riding alive since 2002. T and I spent some time last night going through hundreds of photographs I shot back in the day long before I had a digital camera. Wow, I've ridden some great parks in the past 7 years...hundreds of sessions at the old MSC in Westfield, Mass, the old Westerly, RI Park, Skater Island, Skater Paradise (Shrewsbury and Framingham), East Coast Terminal, Chenga World, Shebang, Section 8...all parks that sadly no longer exist! We've taken trips all over the US to the UGP Roots Jam, Ghetto Street Jam, Louisville Skatepark, all the Ohio Parks, Rye Airfield, Incline Club and many more. Thanks to all my friends for the support over the years and most importantly thanks for loving to ride your bikes and have fun! Here is to another 7 years of madness!